2006 Olympic gold medalist Brad Gushue was rushed to a hospital today in Nova Scotia after a fall left him gushing blood all over the ice at the Grand Slam of Curling. Gushue, who hails from St. John’s, received stitches while his teammates attempted to complete their match against Steve Laycock’s squad without him. 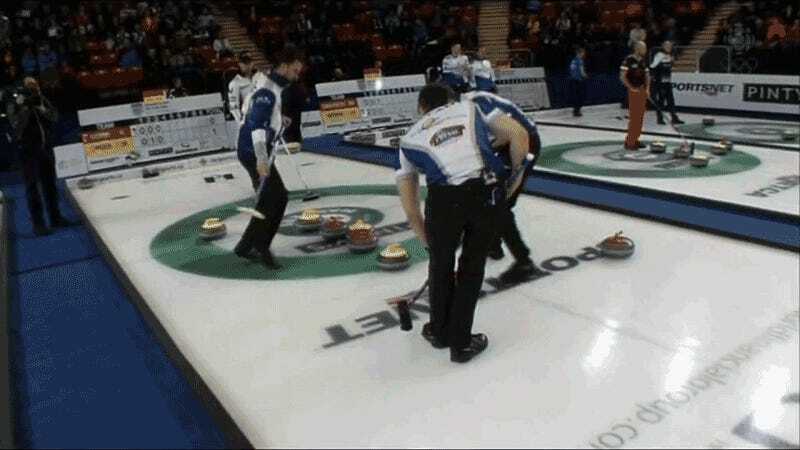 One thing we learned: even curling has a concussion protocol.